Silvia Levenson believes her work is an expression of her soul. She uses glass not for its natural beauty, but for its potential as a narrative medium. Born in Argentina, Levenson has been living in Italy since 1981. She received the Rakow Commission Award from the Corning Museum of Glass in 2004 and in 2008 she was a shortlisted nominee for the Bombay Sapphire Prize. 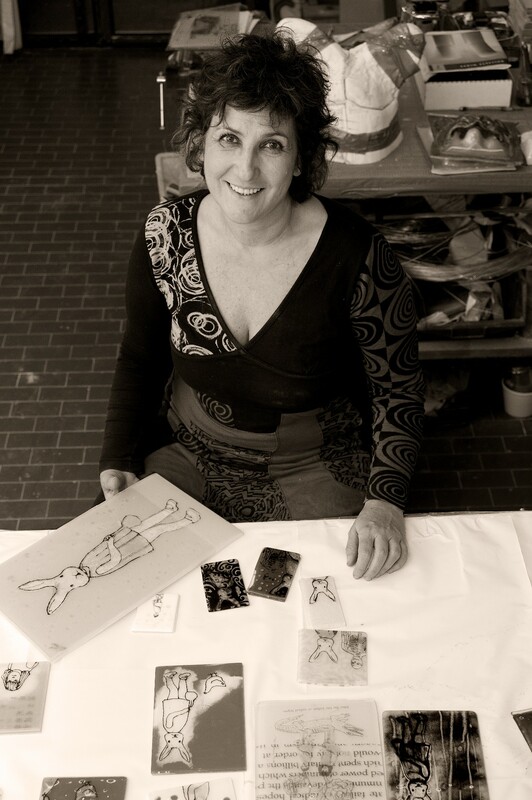 Her work has been exhibited around the world and is a part of the collections of The Corning Museum of Glass; New Mexico Museum of Art, Santa Fè; Fine Art Museum of Houston; Museo Rigaulleau, Argentina; and Musee Atelier de Verre de Sars Poteries, France. During her residency at The Studio, Levenson created part of a kitchen in pink glass. Her work was based on research done at the Rakow Library focusing on glass in the kitchen and, more specifically, the way it has been used by women. Alexander Tutsek-Stiftung , Munich, Germany. Coleccion Casas de las Americas, Cuba. 1996 artist in residence at Musée Atelier de Verre, Sars Poteries. France.